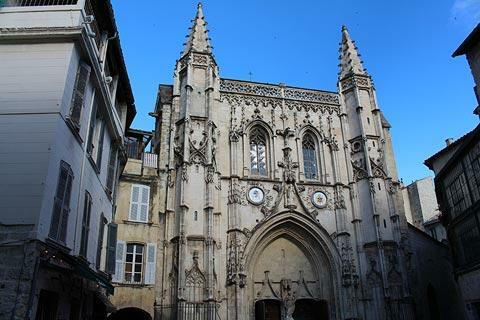 Avignon is a historic town on the Rhone river in Provence, and a beautifully preserved medieval town surrounded by the original fortified city walls. 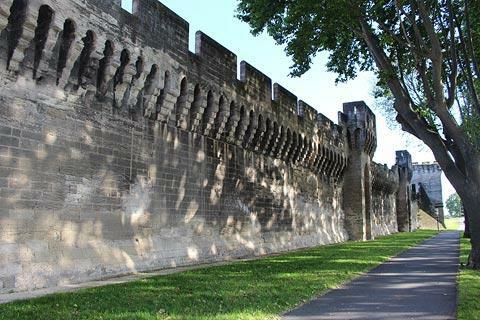 The part of Avignon that is of most interest to visitors falls inside the fortifications and is called the intra-muros quarter, and the bridge (the Pont d'Avignon) which is just outside the walls. 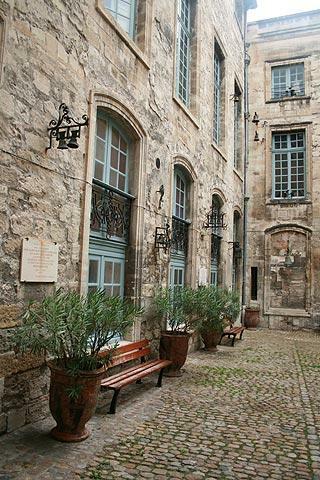 The central historical part of the city, including the Palace of the Popes, the Saint-Benezet bridge, and the fortification walls that surround the city, is now a protected UNESCO heritage site and Avignon is also listed as one of the French 'secteur sauvegardé' towns (see Historic towns of France). 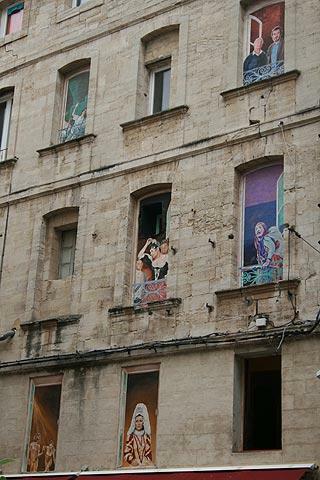 France This Way comment: we recommend you allow two or three days to visit Avignon. Although you could perhaps visit the principal monuments in the town in a one day visit, you will discover there is a lot to enjoy and you will also want to spend time in one or two cafes and restaurants! 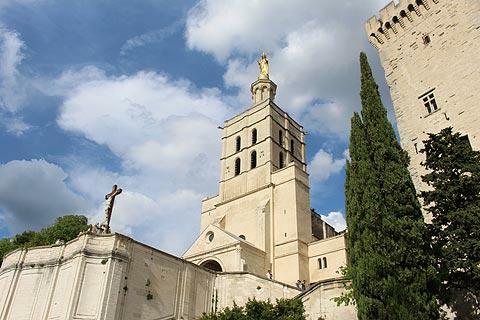 There is much more to Avignon than famous sites, and during a visit you will see a wealth of beautiful buildings, historical churches, a fine collection of museums, several gardens, an extensive pedestrianised historic center, and lots of cafes and bars. The heart of Avignon for visitors has the Palais des Papes and the Place de l'Horloge to the north, the Pont d'Avignon just outside the city walls to the north-west of the Palace, and the main historic centre in the streets around the Palace and the Rue de la Republique, which is a long boulevard to the south of the Place de l'Horloge. 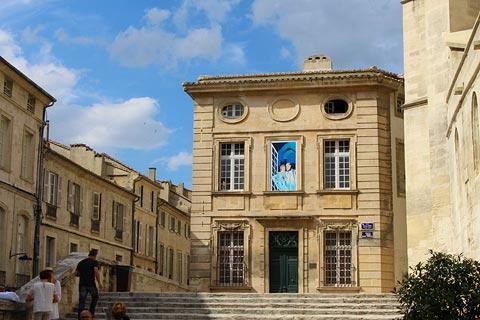 Our own favourite regions in the centre of Avignon are the streets around Rue Joseph Vernet in the north-west of the historic centre, and the pedestrian area to the west of the Rue de la Republique and around the Church of Saint-Didier. The centre of the town for 500 years, this open square has the town hall dominating one side, with the 19th century theatre next door. 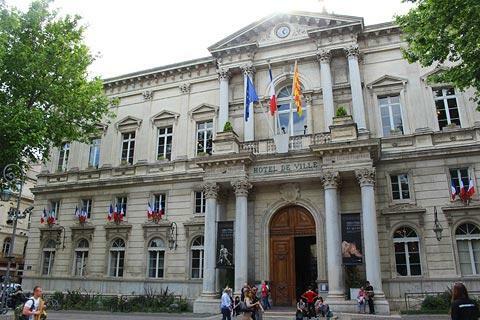 Although the town hall was built in the 19th century, it incorporates the original clock-tower in its construction. 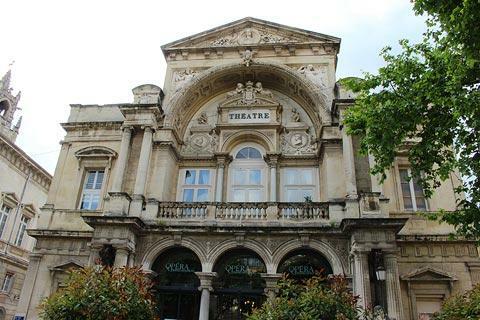 The square has been extensively remodelled over the centuries and took its present form at the end of the 19th century after earlier market buildings had been cleared away to make a more open space. 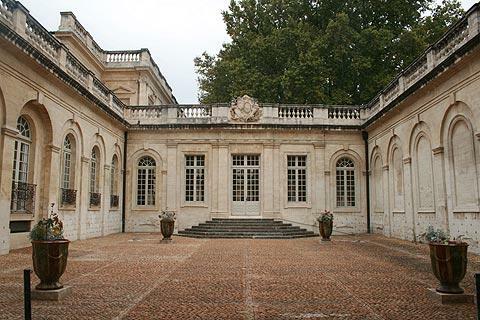 As well as being surrounded by attractive buildings you will also find numerous restaurants here in the shade of the plane trees around the edges of the square: although these are not typically the highest quality restaurants in the town they are in a lovely location. Adjacent to the north corner of the Place de l'Horloge is the main square in front of the Pope's Palace, the Place du Palais. As well as the Palais des Papes, you can also see the imposing Museum of the Petit Palais and the Conservatory of Music in this square. One of the most important gothic buildings in Europe, the Palais des Papes is also one of the most impressive buildings in Europe. The size and grandeur of the palace can't be seen from a photo, but it is very large and dominates the square in front of the palace - which allows a clear view of the whole building. 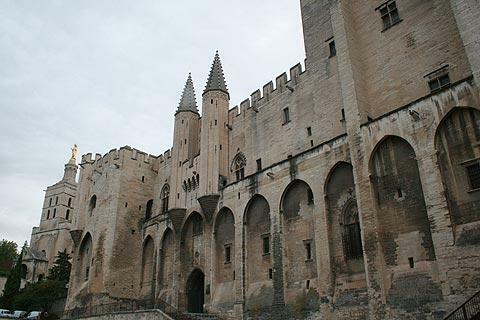 Avignon was home to the popes from 1309 - 1377 and they built the palace while in exile here. Following centuries of neglect, misuse and attack the Palace has now been renovated and is finding a new lease of life as a tourist attraction. 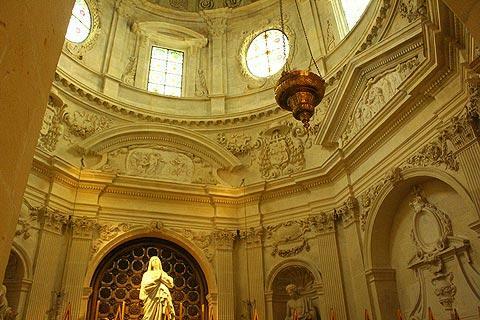 Guided tours will show you many of the highlights and chapels etc within the palace. The Palace is enormous, and comprises an 'old palace' and a 'new palace'. 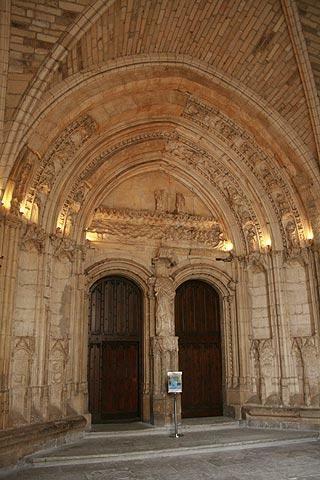 There are numerous gothic towers and splendours in the palace. 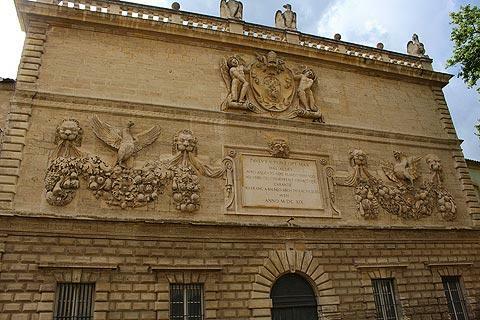 The interior of the Palace of the Popes is now much more austere than it would have been in days gone by. Although some effort has been made to recreate / renovate some of the original features e.g. the walls in the Pope's bedroom, the interior is still very barren. Nevertheless it remains a fascinating experience to pass through the great rooms where such important matters of state and politics were debated and plots were hatched. 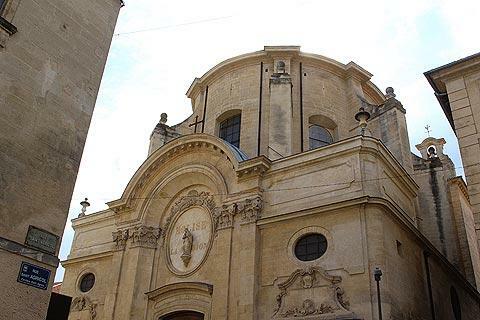 The smaller, grassed inner courtyard is a highlight of the visit, as is the extraordinary chapel, 52 metres long, which forms part of the 'new palace', various frescoes and a grand staircase. Art exhibitions of a high quality are often held in the vast rooms of the palace. See also Popes Palace for visitor information. 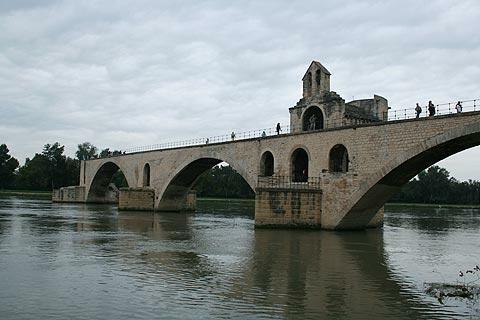 Not far from the Pope's Palace is the famous Pont d'Avignon, well known around the world because of the nursery rhyme about the bridge. Constructed in the 12th century, only 4 of the 22 original sections of this bridge now remain - the bridge was frequently damaged by the Rhone flooding and by war, and repairs were often made until the 17th century at which time efforts to maintain the bridge were finally abandoned. The author of the famous song "Sur le Pont d'Avignon" is unknown. Interestingly, the original version was "Sous le pont d'Avignon" ('Under the bridge...") rather than "Sur le Pont d'Avignon" ("On the bridge...") and referred to the dancing on the island below - Island Barthelasse. The bridge no longer reaches the island. France This Way comment: because of it's fame visitors all want to see the Pont Saint-Benezet but in our opinion it was the one disappointment of a visit to Avignon: a road now passes under the bridge and to be honest we have seen lots of bridges elsewhere in France that are much more scenic and more interesting. The Rocher des Doms Park and gardens is up a grand sweeping entrance to the side of the cathedral (left of the Palace of Popes) and is a large English style gardens with various water features and views back across the city and the Rhone River. 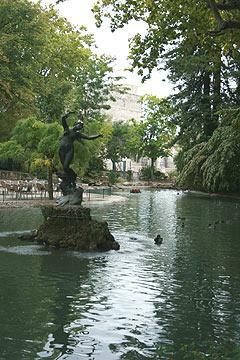 This is a good place to go if you are getting hot and bothered on the streets of Avignon! 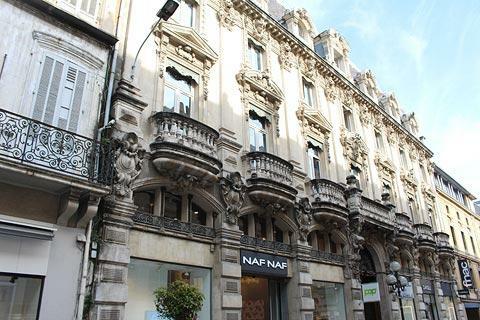 The main shopping region is partly pedestrianised and found around the bottom of the Place de l'Horloge east of the Rue de la Republique where there are numerous boutiques, shops and art galleries etc. 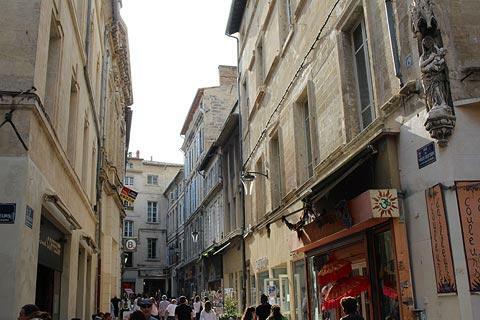 For 'high-street' shops follow the Rue de la Republique straight down from the bottom of the Place de l'Horloge. 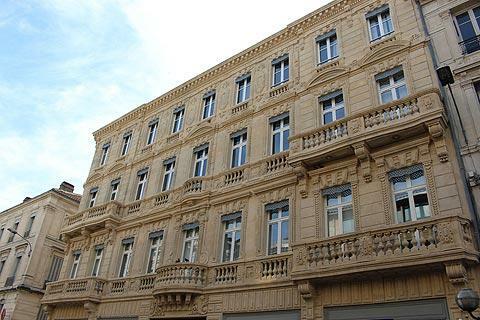 This long straight boulevard continues right to the edge of town and the railway station, and is lined with lots of impressive 19th century buildings (it was in the 1850's that rail opened to Marseille and Nice, bringing prosperity to the town). 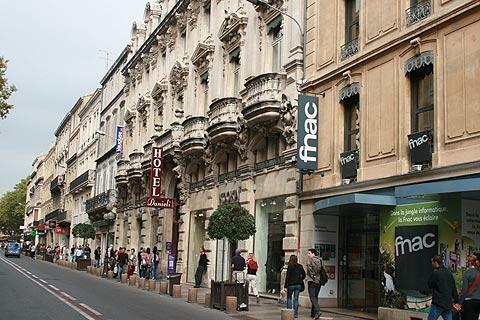 The Avignon tourist office is also along this road. 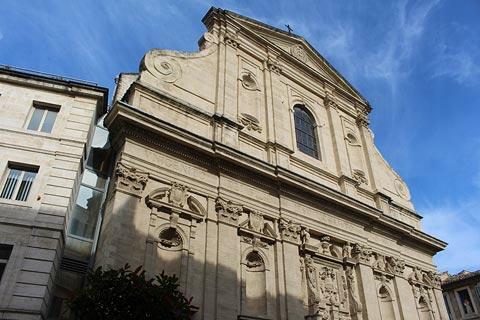 In these streets you will find more impressive churches (such as the Church of Saint-Pierre and the Church of Saint-Didier) and monuments - there are numerous features and things of interest to discover as you simply amble around Avignon, even if we don't list them all here! 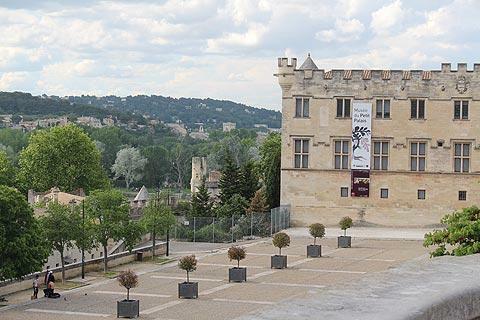 A short distance north of Avignon you can visit the pretty village of Chateauneuf-du-Pape, now best known for the wines produced in the region but originally developed around a castle built by the popes in exile. 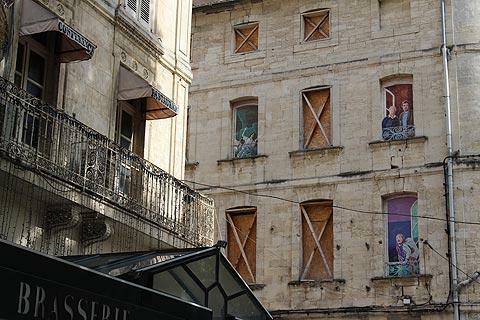 A visit to Avignon is ideally combined with trips to the other important historic towns in this region such as Arles, Nimes and Orange, as well as a visit to the most beautiful villages of the Luberon region to the east of here.